Top Blocks – Petersen Inc.
Petersen Inc. was a supplier/Partner to ORNL with a number of key pieces of equipment such as the SNS Shielding Top Blocks, the Mercury Piping Assemblies and the Beam-Line Shutter Assembly. Due to the thicknesses of the materials and the tolerances, this NQA-1 project was a challenge from the bid stage on. These blocks were approximately 8’ x 8’ x 2’ with various sized holes drilled from top to bottom. The holes were required to be drilled running the length of the blocks, so they were machined in sections and fabricated to make one solid block. This brought additional challenges as the tolerances to be held were extremely tight. With 11 pieces per block and 28 blocks for this shielding project, Petersen Inc. machined over 300 pieces of steel and fabricated each block with virtually no complications. Each block weighed 48,500 lbs. 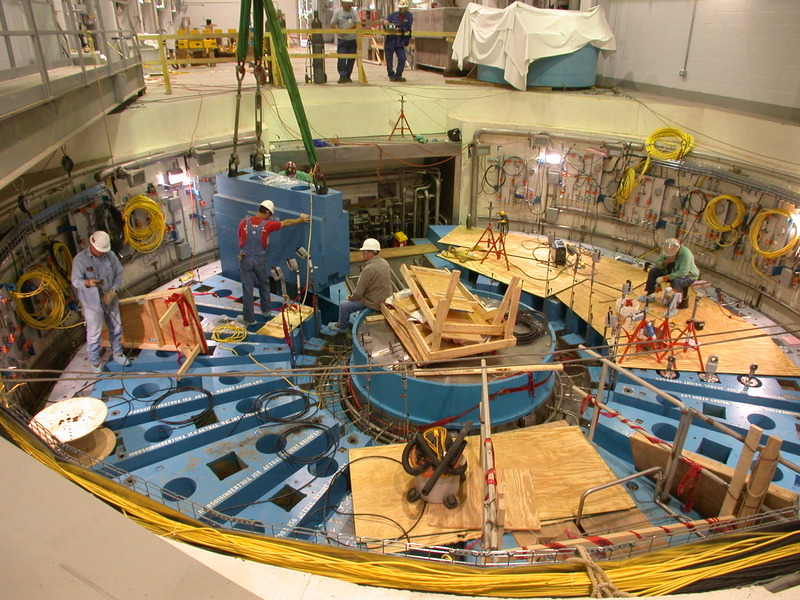 and was installed at the Department of Energy Oak Ridge National Laboratory site in 2004.